We all know what all the normal shoes in stores look like, and the ones we choose to wear each day. But do you know that along the history, there have been a lot of bizarre styles of shoes that emerged? 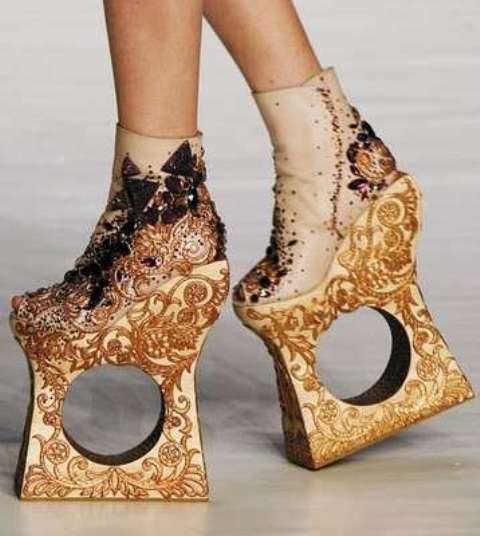 The most recent bizarre shoe style is the Armadillo shoe form, created and launched by Alexander McQueen and loved by not so many, with the exception of Lady Gaga, who is always in search for something more peculiar, and nothing is too much for her. These shoes can be admired in her videos, and of course, at the Alexander McQueen stores. 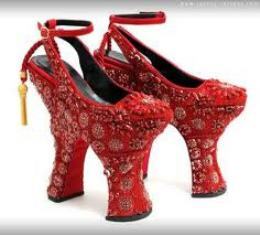 The list has just begun, and we can move on to the number one most unusual pair of shoes, that is, the ones designers have created, inspiring from the movie The Wizard of Oz. 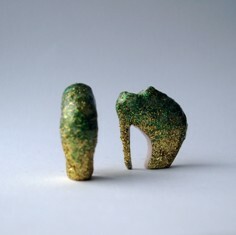 their designers include Giuseppe Zanotti, Stella McCartney, and of course, the legendary extravagant, Alexander McQueen. Even if these shoes were found to be bought in stores, I still hold my hopes that people did not actually buy them to wear them, because it does seem rather impossible to move once you put them on. Much like the latter pair of shoes, these shoes are deeply uncomfortable. They have come out on the market about two years ago, but now it has begun to spread as a trend in America and also overseas. It is true that they are rather interesting and you can still actually stand on them, but they simply do not flatter a woman’s figure. They are more like a piece of shoe art, who should be displayed among with the other 7 unusual shoe styles that we are about to unveil. 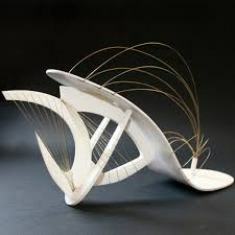 Indeed, they do seem like they are out of this world, and that the meaning of a pair of shoe is radically changed, but these sculptural shoes are not all made to be worn. Yes, there are some styles that can be worn whenever the woman feels she wants to cross the edge and try some overstated style, but this has not been so much encountered on the streets, to be worn everyday. They do require extensive work and an architectural view on an otherwise rather common part of the women’s wardrobe, so they should be given at leas the credit for being incredibly artistic. 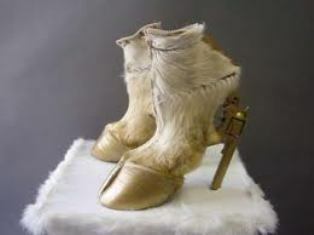 This style really shocked people when it appeared, because it was so unusual to see these shoes that, if worn by a woman, they seem like half people, half animal. Isn’t it bizarre? They are also called “Gun hoofs” and they really are a combination between a small gun as a heel and the real leather from a dead animal on the rest of the shoe. This is just hor rible, not only from the animal’s rights point of view, but also from an aesthetic point of view. It is simply too much for the eye in what concerns shoes. Now this style is slightly more easy to handle, because it does not involve skin of any type being used for the shoes. These are just some creative, innovative shoes that you might actually buy one day just from pure curiosity. However, they are really unusual, because it seems you are standing on a huge paperclip that is stuck in your shoe, rather than a normal shoe. You can find this type of shoes from designer Jill Sander. Well, this combination is definitely not a good one, as it mixes the mid length boots with extremely high heels, put together into a form that tries to imitate the ballet flats. It is hard to describe this shoe style, let alone see it or wear it. It is a mix that can damage the “image” of ballet flats, that of gracefulness, fluidity, flexibility. These so-called ballet boots have nothing to do with comfortable shoes. We all wear and like wedges, because they make us look taller, slimmer, and most of their styles are easy to wear and good for us to wear at ease. But when it comes to fashion revolution, these holy wedged shoes turns the whole image and tradition of wedges into a lost treasure. The hole made in the wedges makes them look out of this world, and it is not an impressive visual, it is rather such an unusual one that it makes you not want to look at them again. These should be forbidden to be worn!There is clearly nothing holy to them! This shoe style is not entirely shocking, because the image is not so strong. They only hold, instead of a normal heel, a lipstick. To some, it may actually seem like a good idea to try one day, as they are not vulgar or too courageous to wear. But they are incredible in the sense that they want to upgrade the old vision of femininity and give it a little bit of playful, colored, look. Maybe we should try them sometimes, just for the fun of it, with your girlfriends! 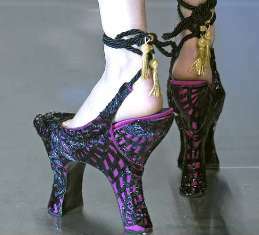 Alberto Guardiani is the designer of these startling pair of shoes. The last, but clearly not least, are the dual heels shoes. They are absolutely unbeliable, and not in a good way. Probably no one who really has a stable life and a balance in their lives would buy them. They should be kept forever locked in a museum of shoes and never let them be put out on the market again. They are a danger to your own health if worn, along with many other types of shoes, so be careful if you get the one lifetime chance to try some of these on! Attention, danger ahead! I hope this top ten most unusual shoes has given you quite the idea of how many insane shoe styles there are out there, and be aware even of the dangers that some pairs of shoes, even though they are artistic and unique, can bring to your health. While the rest of us keep walking painless, and keep buying shoes that fit us, this can be seen as the presentation of some trials of shoe art.